I spoke to you on the phone earlier this afternoon regarding clearing my mother’s house in Alnwick in January of next year. Here are more details, but if there’s anything else you need to know, please don’t hesitate to get in touch by return email. Kitchen: contents of all cupboards and units (crockery, pans and cooking utensils, glasses, household cleaning stuff, etc.). The appliances in the kitchen. Garden shed and coal bunker: just a few items in each, can’t remember exactly what. Possibly lawnmower and some garden furniture! 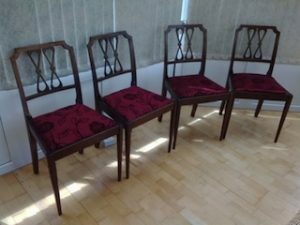 A set of four solid mahogany cut out back dining chairs, upholstered to the seats in pink floral patterned fabric. 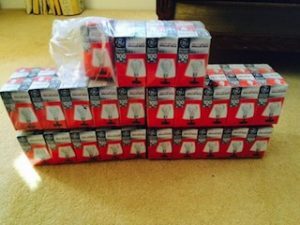 A large set of over 150 100W lightbulbs. A tall standing white Whirlpool, four drawer freezer. 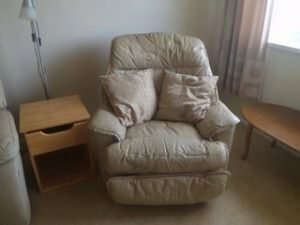 A pair of high back reclining gentleman’s armchairs, upholstered in cream faux leather. A large vintage solid pine tripe wardrobe, having a large central mirror above two brass handled drawers. 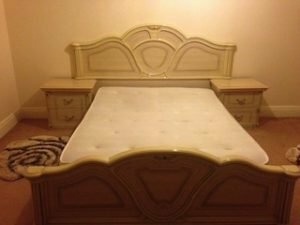 A solid wood cream Italian double bed, with matching double headboard, mattress and a pair of bedside drawers. 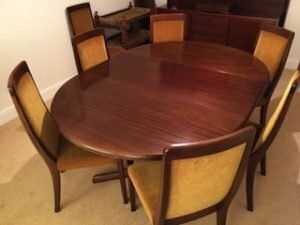 A 1970’s mahogany extendable oval dining table, together with seven matching high back dining chairs, upholstered to the seats and backrests in mustard velour. A grey and red Vax pet wash upright carpet cleaner and vacuum. 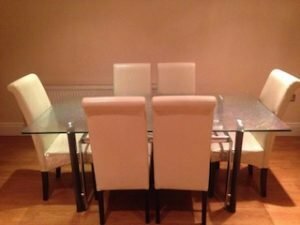 A chrome and frosted glass dining table, together with six high back dining chairs, upholstered in cream faux leather. A White Hotpoint under counter condenser dryer. 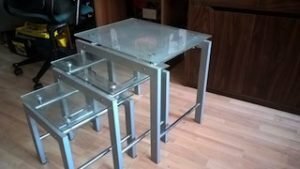 A nest of three chrome and glass square side tables. 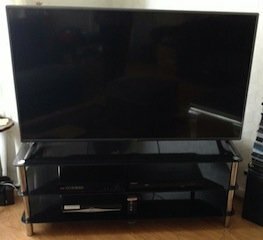 A 55 inch black flat screen LG HD LED television, together with a black glass tv stand. 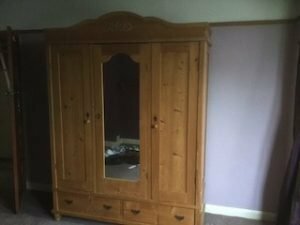 A tall standing double door beechwood wardrobe, together with a matching chest of drawers. 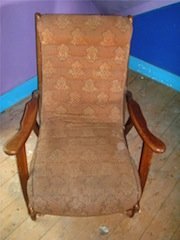 A vintage 1950’s teak wood reclining armchair, with removable cushion. 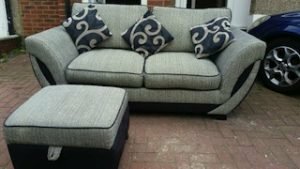 A two seater high back sofa on square feet, together with a matching square storage footstool. A white under counter 8kg 1400 spin Indesit washing machine.